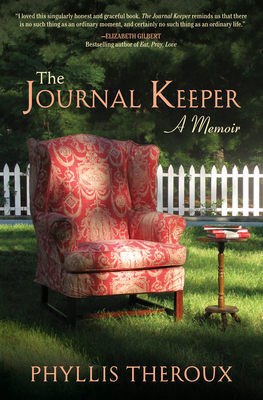 The Journal Keeper is the openhearted and unflinchingly honest memoir of six years in writer Phyllis Theroux's life. As she ages into her sixties, Theroux uses regular journal entries to reflect on the void left by the passing of her remarkable mother and the thrill of allowing a new source of joy into her life. A natural storyteller, Theroux slips her arm companionably into yours, like an old friend going for a stroll. But Theroux's stride is long and her eye sharp, and she swings easily between subjects that occupy us all: love, loneliness, growing old, financial worries, spiritual growth, and caring for an aging parent. A compelling tale in journal form, The Journal Keeper is a rich feast from the writing life -- with an unexpected twist. After the death of her mother leaves Theroux feeling adrift, she finds the love that she believed was closed to a woman of her age. Not until Theroux sat down to edit her journals for publication did she realize, in her words, "that a hand much larger and more knowing than my own was guiding my life and pen across the page." She makes a good case for this being true for us all. Phyllis Theroux's books include a memoir, several essay collections, a novella, Giovanni's Light, and an anthology, The Book of Eulogies. She lives in Ashland, Virginia.